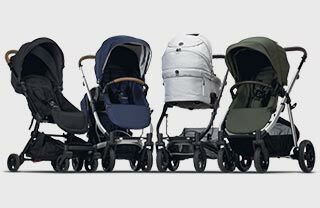 The Redsbaby Bounce is primarily made from 600D polyester fabric with a high colourfast rating. Polyester has been selected due to its high durability, ability to withstand the elements, easy cleaning and everyday use. Some of the polyesters are UV treated, helping prevent fading when frequently exposed to direct sunlight. The bassinet is also lined with soft cotton for the comfort of your newborn.